The British variation of blackjack is known as the pontoon blackjack. Though this version of blackjack games was developed by the British, you can pay this game online from any place of the world. The main rules of Pontoon is the same as the original blackjack like you have to score 21 or near 21 and the score must be over dealer’s score to win the game. But this game has its own rules and terms what makes it more exciting and attractive to the gamblers. You can play pontoon blackjack online or in land based blackjack casinos. The online version has 8 decks with 52 cards each. The points are same as the original blackjack and you have to put your bet down before starting the game. Then the dealer will give 4 cards to you, 2 are face up and 2 are face down and the dealer doesn't have any up card. To take another card you have to say Twist where you have to say Hit in the regular blackjack. You have to use Stick instead of Stand to refuse another card. You have to use Buy for Double downing and your bet amount will be doubled. You can buy with 2-4 cards where you have double down with 2 cards in regular blackjack. You can get twist for many cards after double down but in regular blackjack you have one chance for one card hit. You can't stick if your score is 14 or less and if your score is 15 or higher you can stick, buy, split or twist. 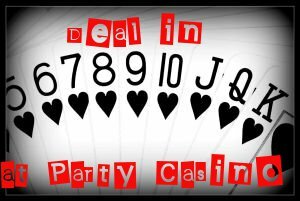 To play pontoon you will get a bet of 2 to 1 which is larger than the regular blackjack. 5-card trick is the hand where you have 5 cards but your hand doesn't busted and you have 5 same point cards then the total doesn't matter is the great tricks. The 5-card thick is less than the pontoon or blackjack but is greater than other players. When you have a hand with bust you just lose the game and you have surrender your hand and the betting amount and when all their play their hands and at last the dealer will show his hand. before do that the dealer have to twist all the hands who have less than 16 points and stick all the hands who have more or equal to 17 points. But if the dealers get the bust then all players will win except busted players.